Sorry, that was a very bad joke. I promise not to do it again. And to set the record straight, Hopkins is awesome in Silence of the Lambs, but if I'd seen Manhunter first, I don't think I'd have been quite so taken with the performance in Lambs. I can even go farther and say that for me Manhunter is better than Silence of the Lamb. See now why I didn't vote for Hotel New Hampshire never seen it but from what I knew I imagined you wouldn't like it. I missed this question and I agree: I've seen it and I would have thrown in a vote of caution for Pete. Oh, well...he's another year forward regardless. Caution, yes, but it isn't nearly as bad as Pete made it appear, especially given his usually enthusiastic ratings for almost everything. I liked Manhunter. I rented it several years ago after someone at Epinions suggested I watch it. It has been a while since I saw it, but I still remember things from it... I watched Red Dragon once...and I barely remember anything from it. Manhunter handled the material better I think. I do like Silence of the Lambs and Hopkins's Lecter creeps me out. I did like Cox in the role in Manhunter too...it's a different take on the character, but one that works. I read the books and liked them too...least the first two. I haven't read Hannibal. And both those movies were much... much better then The Hotel New Hampshire in my opinion. You all have to remember... this is all a matter of taste. And while I can usually find something to like in most movies.... this one I just found for the most part just boring... with a touch of weird. Like I said... there was some scenes that peaked my interest... but they were few and far between. FBI Agent Will Graham (William Petersen) has captured the diabolical Dr. Hannibal Lecter (Brian Cox), nearly losing more than just his mind in the process. But when Graham is called out of retirement to hunt the psychopath known as "The Tooth Fairy" (Tom Noonan, in a role Entertainment Weekly calls "one of the freakiest madmen Hollywood has ever given us") he must once again confront the horrors of "Hannibal The Cannibal." If Will Graham enters the mind of the serial killer, can he ever come back? Joan Allen (THE CONTENDER), Dennis Farina, Kim Greist and Stephen Lang co-star in this shocking thriller directed by Michael Mann and adapted from the novel RED DRAGON by Thomas Harris. But be warned: Fans and critics alike consider MANHUNTER to be far superior to THE SILENCE OF THE LAMBS ... as well as one of the most unnerving serial killer movies ever made. This is my first time seeing this movie. I went in with fairly low expectations since a friend of mine said they didn't care too much for this one. But I enjoyed it quite a bit. The story is good... I liked the cast... the movie kept my interest from beginning to end. I have to admit... I didn't even recognize William Petersen (CSI) in this movie. I didn't realize it was him till the movie was basically over. Anyway... as I said... I definitely enjoyed this one. Glad I finally got around to watching this one. In this year... Actor Bruce Willis marries actress Demi Moore..... The Fox TV network makes its prime-time debut..... Matt Groening's The Simpsons debuts as a series of short animated segments on The Tracey Ullman Show...Unsolved Mysteries premieres on NBC. Heat wasn't 87? Same director as Manhunter. He did do an early version of Heat called LA Heat. That might have been around this year. Thanks... DVD Profiler for it says 1987.... IMDB and filmratings.com says 1986. Guess it needs to be fixed. Luckily I didn't pick that one to watch anyway. I went to fix it... but finding sites not agreeing. Ah... ok. I just checked myself as well. Michael Mann directed L.A. Heat in 1989. 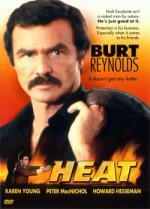 He remade it as Heat with De Niro in 1995. Join our old friend, the rotting Creep himself, as he introduces this horror anthology which presents gruesome looks at three tales of horror: a hit-and-run driver in "The Hitchhiker," a wooden Indian on the warpath in "Ol' Chief Wooden Head," and four friends whose vacation on a secluded lake turns into a nightmare in "The Raft." Creepshow 2 is a deliciously wicked roller coaster ride that will plunge you into the heart of darkness and to the very brink of madness. Just when you thought it was safe to come back to the movies, along comes a fright-fest like Creepshow 2! I decided to watch this one today for a few reasons. Probably most importantly because I felt like I was in the mood for a horror anthology. But also because it has been a while since I seen this one... and it is only an hour and a half... giving me the chance to watch more movies today. Ol' Chief Wooden Head... This is the first one up. It is pretty good... though it's not my favorite short in this anthology. Matter of fact it is probably my least favorite. But don't think it isn't enjoyable... as I enjoyed all the shorts in this anthology. But one had to fall in last place... and this first one just happened to be the one that fell there. Next up is The Raft... This one is my second favorite in the anthology. I liked the story... and the idea of girls in bathing suits (and less) is always a bonus. The thing in this one kinda reminds me of The Blob... but in water. And it has 4 young people trapped on a raft. I liked how they ended this one. Not exactly as expected. Finally we see The Hitchhiker... and they saved the best for last! I really enjoyed every minute of this one. It has a good atmosphere to it. And I really liked the whole idea behind the story. In two of the shorts they have a little homage to The Cisco Kid for some reason. In Ol' Chief Wooden Head one of the characters is watching an episode. and in The Raft 2 of the characters call each other Cisco and Poncho as nicknames. If there was anything in the 3rd short... then I missed it. I also enjoyed the little cartoon wrap-around story on this one.